As the cryptocurrency craze continues, we take a look at how individuals can get involved in Initial Coin Offerings (ICOs) and what to look out for when choosing a project. The first thing you must do when looking to invest in an ICO with Ethereum is to ensure that you are not being scammed. There are a few pointers to look out for to make sure the project behind the ICO is actually trustworthy and working on a real product. Fake ICOs have gotten harder to spot in recent years, but if you know what to look for, you’ll keep your hard-earned Ethereum safe. First of all, it can be helpful to choose an established company with a good reputation, which will already greatly reduce the risk of falling victim to a scam. Be sure to find out who the founders of the project are. Are they on social media? Do they have an established online presence? Be wary if you find it difficult to find information about their past or if they cannot be contacted easily. Finally, common sense and instincts should also prevail. Remember the proven saying: if it sounds too good to be true, it probably is. Before investing in an ICO, you should also update yourself on local regulations. Some countries have stricter regulations than others and educating yourself on what your rights are as an investor can save a lot of hassle in the future. Finally, it’s worth remembering this key point: Once you’ve invested in an ICO, you will not see your ETH tokens again. You will not get a refund, and the transaction cannot be reversed, so be sure to do your homework before making a financial commitment. When it comes to finding the right ICO for you, due diligence is key. There are plenty of ICOs out there that will likely never take off and finding the ones that will, takes patience (and a bit of luck). The key aspect here is simply doing proper research. Read the whitepaper of the ICO you want to invest in. Analyse their ideas and concepts, and look for any potential problems which may affect the given ICO. Make sure that the ICO you’re going to be investing in has unique ideas, global reach, and vast amounts of potential for growth. It mto look looking into the backgrounds of the developers of the project. If they have plenty of expertise in the industry and previous successful projects, then it may be a sound bet placing your funds into their ICOs. 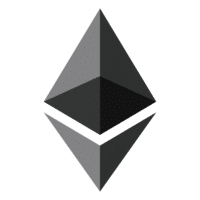 Once you’ve decided on the right ICO for you, the next step in the process will be to purchase Ethereum in the form of Ether tokens (ETH). Most ICOs are unable to accept fiat currencies, so there’s no way around buying Ethereum first. To obtain the cryptocurrency, you will need to signup to an exchange such as Coinbase where you can purchase the coins. Once you’ve registered on an exchange you will need to transfer your fiat funds and turn them into ETH. As soon as you have the Ether tokens in your wallet, you are ready to go. As always, be sure to safely store your Ether tokens, preferably on an offline wallet such as a paper or hardware one. If for some reason this is not possible, there are plenty of safe online wallets available. Never store your coins on an exchange for longer periods of time as exchanges are at an increased risk of getting hacked. This is the most crucial step. You will need a wallet which is compatible with the ERC20 tokens that are issued by ICOs. Wallets such as Bitfinex, Coinbase, and Kraken, for example, are not compatible with ERC20 tokens and therefore not compatible with ICOs. MyEtherWallet would be a good example of a wallet that does have this compatibility. While it’s not recommended to store your tokens on the wallet in large amounts given that it’s an online wallet, for the purpose of this transaction it is safe enough. Once your funds are in your MyEtherWallet, you will need to transfer them to the ICO in order to participate. On the ICO’s website, you will be given an address to which you will need to send your Ethereum. You will also have a “Data” field which is your personal reference number for a given transaction and should not be shared with anyone else, preferably written down and stored in a secure location. The “Gas Limit” is what indicates that this transaction is more expensive than a regular Ether Transaction. Finally, enter the amount of ETH you wish to contribute to the sale. Eensure that you complete every step of the process, otherwise your transaction will be refused. This part of the process is perhaps where you need to be most patient. Usually, you will have to wait until the ICO is completed before you can collect your tokens. At times these may appear in a special ICO wallet, from where you can then transfer them to your private wallet, or they might be sent directly to your ETH wallet once the sale has been completed. If you’ve done your research however, there is no need to worry as your tokens should end up there eventually – it just may take some time. Investing in ICOs is a long-term prospect which requires a degree of patience. If done correctly however, these investments can be extremely rewarding and in some cases even offer you a stake in the token.